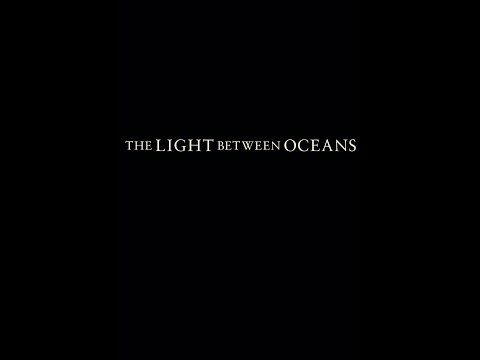 The Light Between Oceansis a 2016 romantic period drama film written and directed by Derek Cianfrance and based on the 2012 novel of the same name by M. L. Stedman. 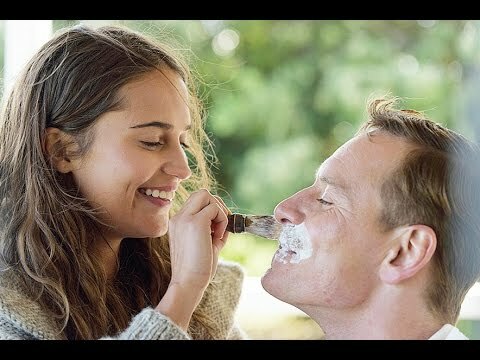 An international co-production between the United States, Australia, the United Kingdom and New Zealand, the film stars Michael Fassbender , Alicia Vikander , Rachel Weisz , Bryan Brown and Jack Thompson . 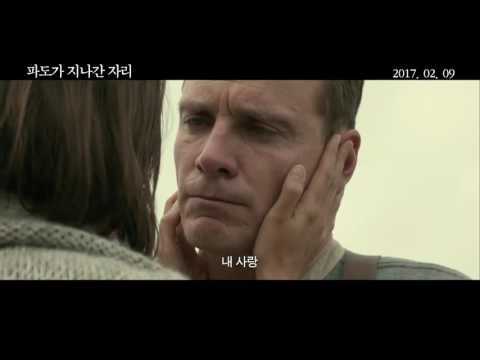 The film tells the story of a lighthouse keeper and his wife who rescue and adopt an infant girl adrift at sea. Years later, the couple discovers the child's true parentage and are faced with the moral dilemma of their actions. Golden Lion .The film was released by Touchstone Pictures in North America on September 2, 2016,being the last DreamWorks Pictures film distributed by Walt Disney Studios Motion Pictures through their 2011 output deal.The film was released in the United Kingdom on November 1, 2016, by Entertainment One Films .It received mixed reviews and grossed $24 million. Tom Sherbourne, a traumatised and withdrawn hero of World War I , is hired as a lightkeeper at Janus Rock, a lighthouse off the coast of Western Australia . He falls in love with a local girl, Isabel Graysmark, and they marry in 1921. Isabel loses two pregnancies in three years, and fears she may never become a mother. Shortly after Isabel's second miscarriage , a rowboat containing a dead man and a newborn baby girl washes up on the shore near the lighthouse. Tom knows that regulations require him to report the discovery. However, Isabel fears that the baby will almost certainly be sent to an orphanage , and persuades Tom to pass the baby off as their own. Tom grudgingly agrees. He buries the man on the island and they name the girl Lucy. As Tom and Isabel are about to have Lucy christened on the mainland, Tom sees a woman, Hannah Roennfeldt, kneeling in front of a grave, bearing the names of Frank Roennfeldt and his baby daughter Grace Ellen, who were lost at sea on the day they found Lucy, 26 April 1923. Tom fears that Lucy might very well be Hannah's missing daughter. He writes anonymously to her to tell her that her husband is dead but that her baby is safe and well cared-for. Three years later, Tom, Isabel, and Lucy, who have enjoyed an idyllic life together, attend a ceremony for the anniversary of Tom's lighthouse, and they strike up a conversation with Hannah and her sister, Gwen Potts. They learn that Frank was a German native, and had been accosted in the street by a drunken crowd. He jumped into a rowboat and fled along with his baby daughter. Tormented by his conscience, Tom sends Hannah a small rattle that was found with Lucy on the boat. One of Tom's co-workers recognizes the rattle on a reward poster, and reports him to the police. Tom takes full responsibility, claiming he bullied Isabel into complying. Isabel is enraged that Tom is willing to give Lucy away, and breaks off contact with him after his arrest. Lucy is returned to her birth family, but initially rejects and hates them, having no memory of them. She refuses to answer to "Grace", and even runs away in an effort to go back to the lighthouse. The police accuse Tom of murdering Frank, and are unable to draw an answer from the distraught Isabel as to whether he was dead when they discovered him. Just as Tom is about to be taken to Albany for trial, Isabel reads a letter which Tom had sent her, writing of how he had not deserved his happiness with her and how carrying the blame will assuage his guilt for surviving the war . She jumps on the boat and confesses everything. Moved by their gesture, Hannah offers to speak on their behalf at trial. Lucy has at last begun to bond with her natural mother and grandfather, who agrees to call her "Lucy-Grace" as a compromise. In 1950, an adult Lucy-Grace Rutherford, accompanied by her baby son Christopher, tracks Tom down. She has not been in contact with the Sherbournes for over twenty years, as they had agreed not to contact her for the rest of her childhood. Isabel has recently died, still tormented with guilt for her actions, and Tom gives Lucy-Grace a letter that she wrote for her in case she ever made contact. An emotional Lucy-Grace thanks Tom, the only father she knew, for rescuing and raising her for the few years on Janus, and they promise to stay in touch.